Any major dumpations for Serre Che showing in the rhunes yet? Can't quite commit to a Christmas in Serre Che yet when there are still bare patches at the top of Vallons!! Snow-making is excellent here btw! @KenX, I just hope I'm wrong about what I was telling you about the lack of snow making on sections of the Casse du Boeuf currently. 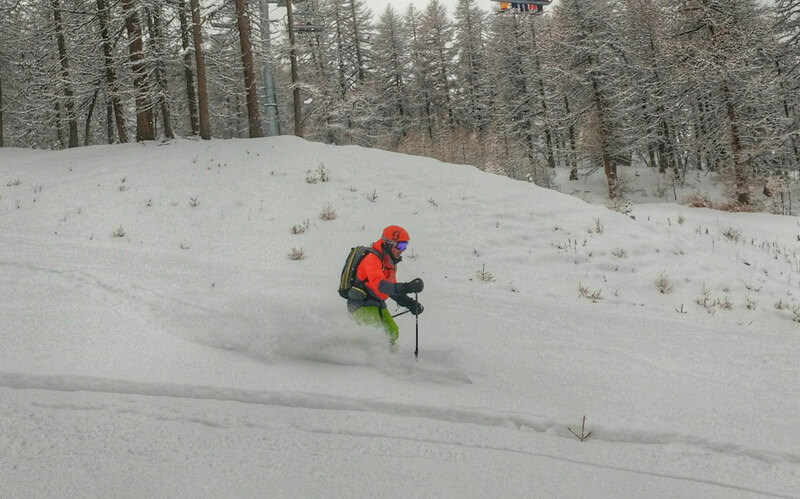 [quote="Weathercam"]@dan100, if it were me, and this is what we regularly do, drive down to Cesana and take the fast gondola up to Sans Sicario and into Sestrierre. That way you're already down the mountain and plus lift pass will be cheaper (and food) than a day in Montgenevre and skiing is a little limited in Claviere - as you can see from the link you park right by the lift. Talking of day trips... We are staying in Monetier over Feb half term. Excited already of course! I realise serre has tons to offer but I'm thinking of doing a day trip to adh. We had one of our first ski trips there and the eldest wants to relive her Sarenne triumph (first black run). It looks like we can get into auris in around an hour- we will have a car. does anyone have any advice? Is this mad? Is auris the best access point and can we park there? Thank you. My Dad and I will be in Briancon for all of February, maybe some of March as well. Hoping for a good season! @nem, yes Auris is best option if on a day trip from Serre. , skins and car at the ready to get away from it all hopefully! Do you have any recommendations for guides? We have a couple of weeks that would need booked in advance I think. 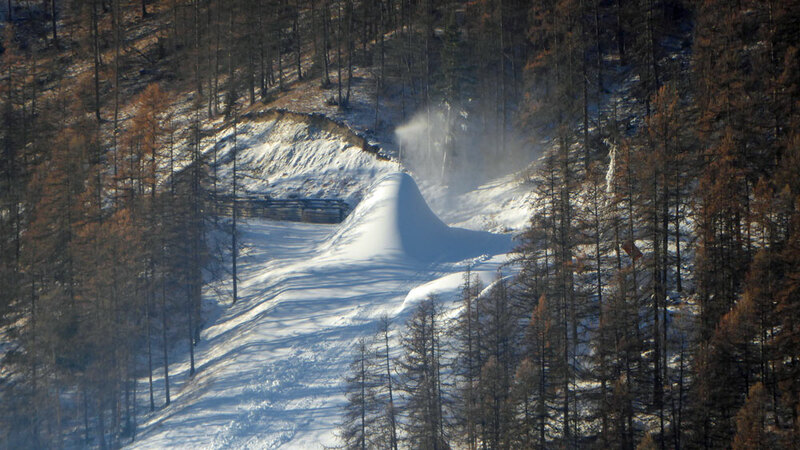 Well snow cannons have suddenly woken up it seems and starting to get more obvious stretches of piste now in front of us, and with this coming week of uber cold temps then hopefully they'll continue blasting. 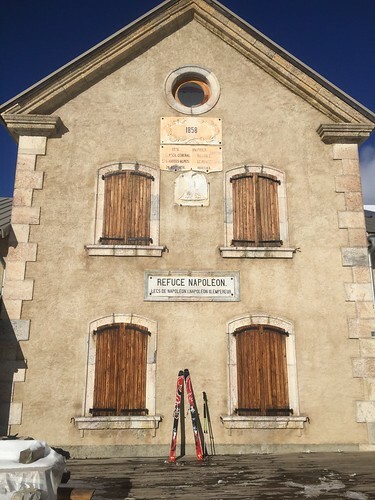 Looks like they are not bothering with the Casse de Boeuf but will like last season use the Marteau as a route down from Arravet as they are blasting on the lower sections of that. On our cam now you can see a very obvious piste if you select the Club Med view. At this rate we'll have something to skin up here soon! 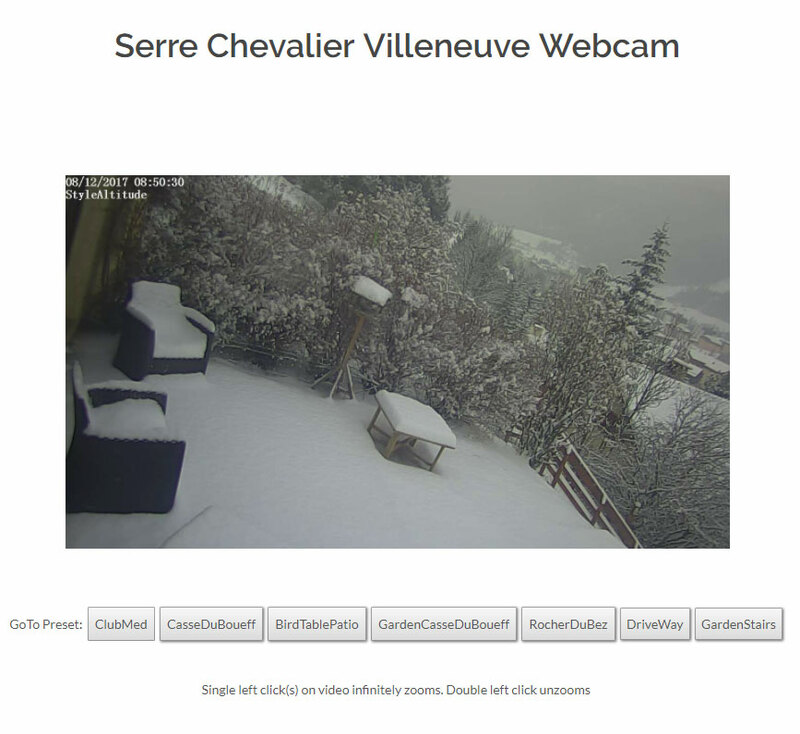 Snow that fell yesterday (10cm at 2300) has been ripped away by the nigh on gale force winds as you can see on the Cucumelle cam though there will be pockets of windblown but it's looking a lot whiter at the Lautaret / Galbier end of the valley but should imagine it's howling up there. For those that don't know that's Club Med on the left of picture, and hence one of the reasons they are preparing this piste for the Xmas clients as last year the piste was closed due to tech problems with three to four cannons out of action, so words must have been had! How are yhe pistes shaping up? Noticed that the top of vallons was still looking a bit sparse but is that a wind thing and is cover better elsewhere? Chantemerle is opening above Serre Ratier this weekend only , Vallons is probably wind-affected, patience Grasshopper! Thank you. We sooooo love Serre Che. 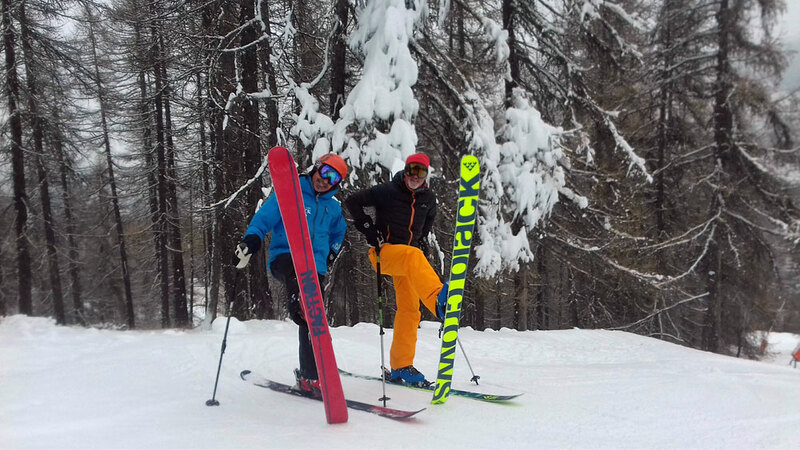 We are committed to a Christmas Ski holiday but swithering between a north alps resort and Serre Che. What to do? Very impressed with the snow making on Serre Ratier. Never seen that kind of commitment before! Great to have some lifts open early - so me and the OH met up with our Ski Club of Great Britain Guide ( ) bottom of Serre Ratier at 10:00 and had a very pleasant couple of hours. Weather was grey and actually not bonkers freezin as was the forecast, in fact there was little to no wind, but we were well wrapped up. Only three lifts open up top, Coombes, Prorel and Foret but enough to get the legs working and there were even some stashes of inter piste powder to be had, though I was a tad paranoid being on new skis. Though I eventually ventured off and ended up going through to put the first scratches into the bases. The owners son was quite canny in that when I said we'd been in the valley a good few years he exclaimed that he's never seen us in there before to which we embarrassingly confirmed. And we were having quite a long chat re who we bought our apartment from (a certain Maynadier) and some of my neighbours. He and his brother are actually Freelance Ski Instructors so another contact for anyone looking for a private/group instructor www.votremoniteur.com. @Weathercam, Thanks for posting. We're coming in Feb so enjoying all info. at the moment. Im interested getting some private lessons, do you mind letting me know how good the brother's English is? Sounds terrible but we had a bad experience in sauze where the instructor had no English at all. Thank you. @nem, the son I met was Julien and his English was feckin superb!! I'd advise to book ASAP as I'm sure he'll be booked up very quick if not already. I also have another neighbour, Didier but he has not shown up yet, similar to Christophe private instructor / guide - he loves his touring and knows so many cool routes. That's really helpful, thank you. I'm particularly interested in snowboarding for my husband and daughter who are at the "playing around on the Side of the piste and between trees stage." They could do with some help venturing further. I'll get onto it. I had a look. Seems ideal. Snowboarding is a bit harder to find. Was pretty obvious as I skinned up this morning, but a couple of pisteurs confirmed it, mind you can't always be 100% even if you hear it from pisteurs! They open tomorrow for a long weekend, probably to compete with Montgenevre who are attempting to entice the Italians over as it's the Fête de la Sant' Ambrogio (Patron Saint of Milan). Snow is forecast as well, so will be a case of "Wait and See" but we certainly need a good few dumps as Vallons / Clot Gauhier sectors looking barren. @KenX, the chair and not the piste surely ???? The roads are quiet and then the only thing you can hear is the snowplough rumbling along. So about 10cms of fresh here in the garden and lightly snowing. Dogs have yet to go out and are still in bed. 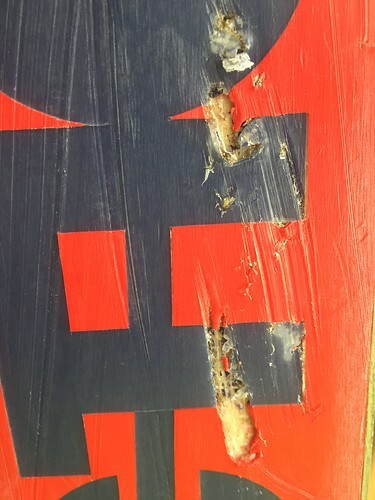 Had some nice lines this morning, but did put a few scratches in the bottom and @KenX, did eject from his ski after it decided to anchor itself on a stone but all good. @dan100, 30 for us. It is so good to see that white stuff.